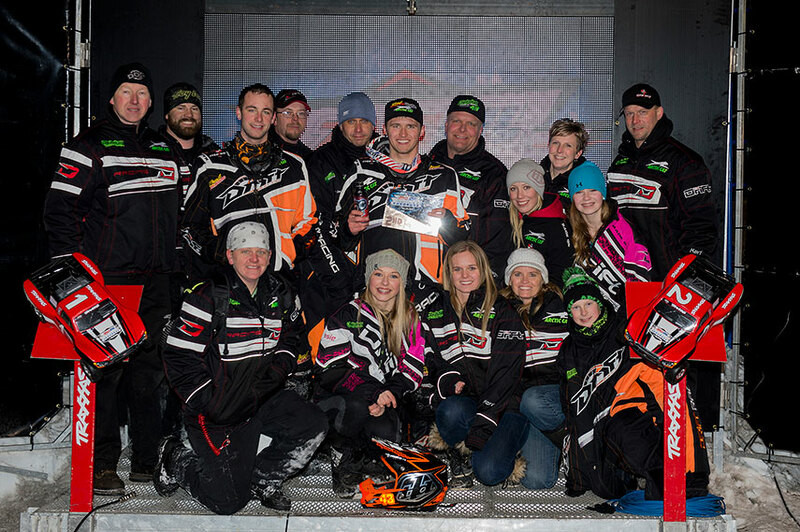 Glyndon, Minnesota (March 9, 2014) - Two wins and a second place Pro Open podium finish marked Christian Brothers Racing's best weekend of ISOC National snocross racing to date. 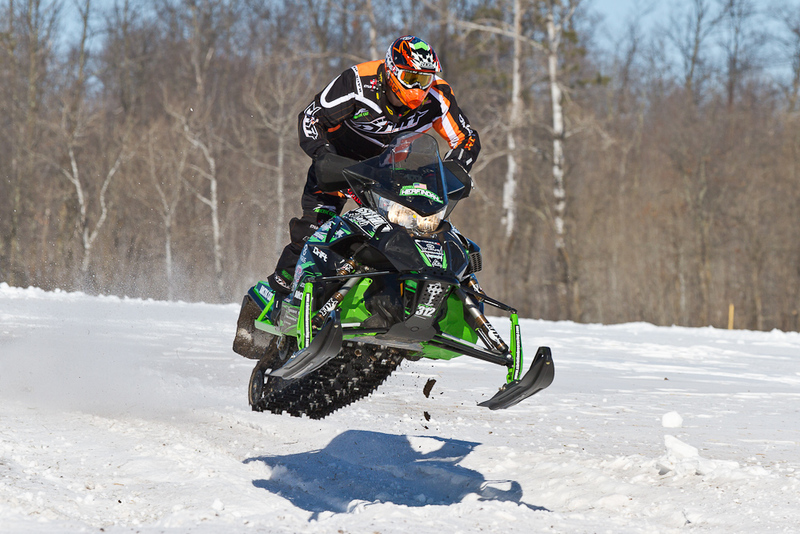 The U.S. Air Force Snocross was held at Buffalo River Race Park in Glyndon, Minnesota, just up the road from the team's headquarters in Fertile, Minnesota. The dedicated racing facility featured one of the largest tracks on the schedule and it made for wide open racing. CBR cross-country racer Zach Herfindahl was also in action as he hit the final event on the USXC schedule in Walker, Minnesota. Logan Christian - DOC360/DRIFT Racing/Troy Lee Designs/Arctic Cat rider Logan Christian entered Saturday night's racing still stinging a bit from missing the podium by one place the night before. The long, wide start at Fargo favored horsepower and Christian got a great start Saturday night, slotting high in the pack and eventually putting it on the box with a second place finish, his highest of the season and also matching his career best finish. 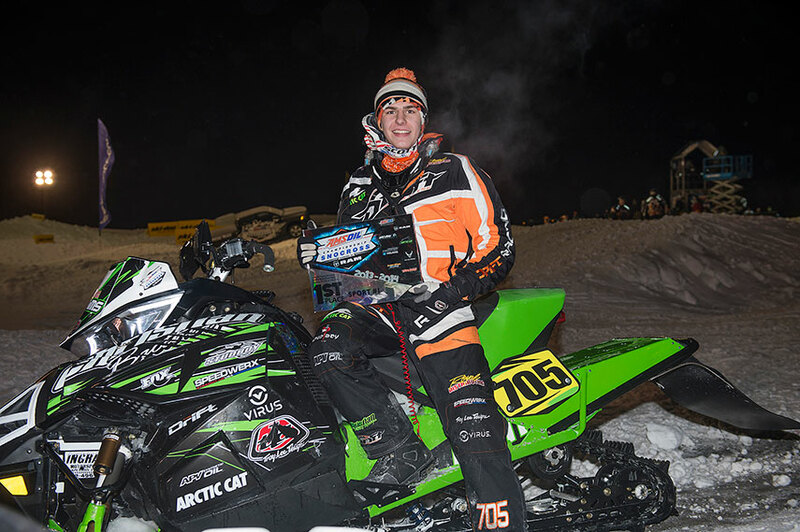 Dave Joanis - Fresh off a sweep of the Pro Open class at last weekend's CSRA snocross event, Royal Distributing/Arctic Cat rider Dave Joanis carried that momentum into Fargo and scored two Top 5 finishes. Joanis rode to 4th place on Saturday, just missing a podium spot, and 5th place on Friday just behind teammate Christian. 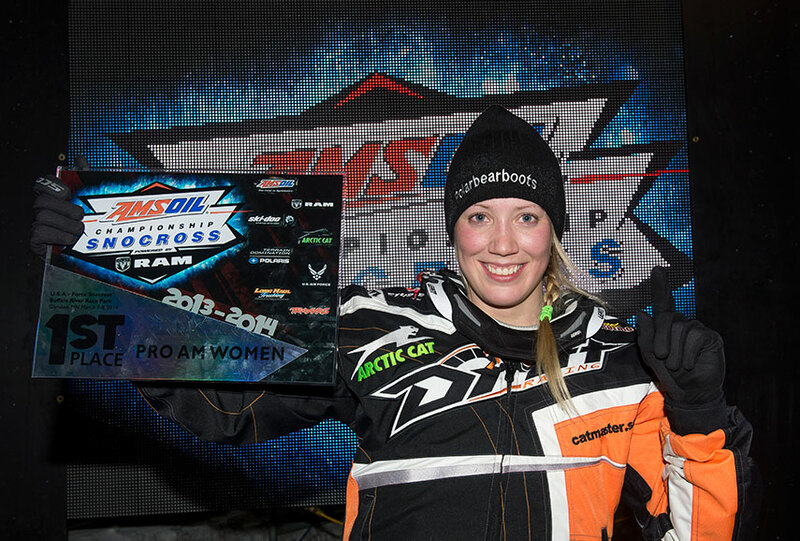 Marica Renheim - Continuing her perfect season, Polarbear Boots/Arctic Cat rider Marica Renheim went undefeated in heats and won the final, besting one of the most competitive Pro Am Women fields to date. 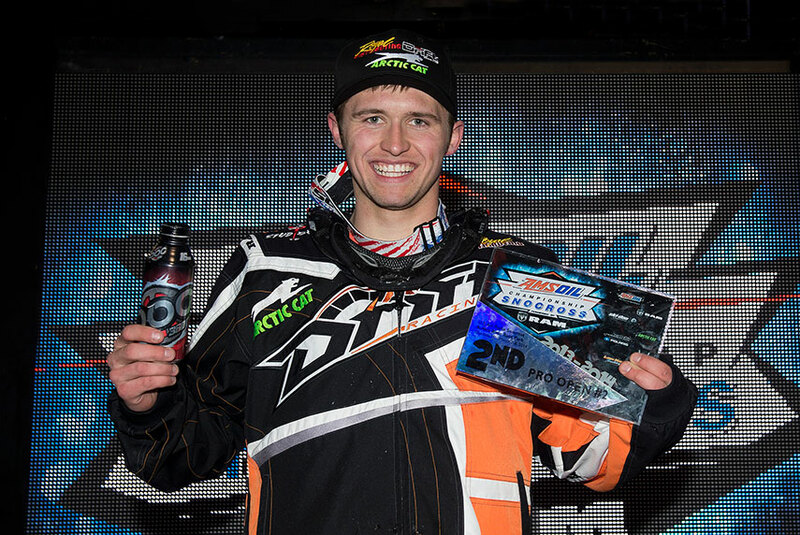 Tyler Adams - Christian Brothers Racing Sport rider Tyler Adams claimed the win Friday night, coming from third place to take the top spot on the box. Adams passed his way into second then, with two laps to go, he powered into first place when he doubled through a section where the leader was having trouble. Adams came back Saturday to take a hard-fought 6th place in the Sport final. 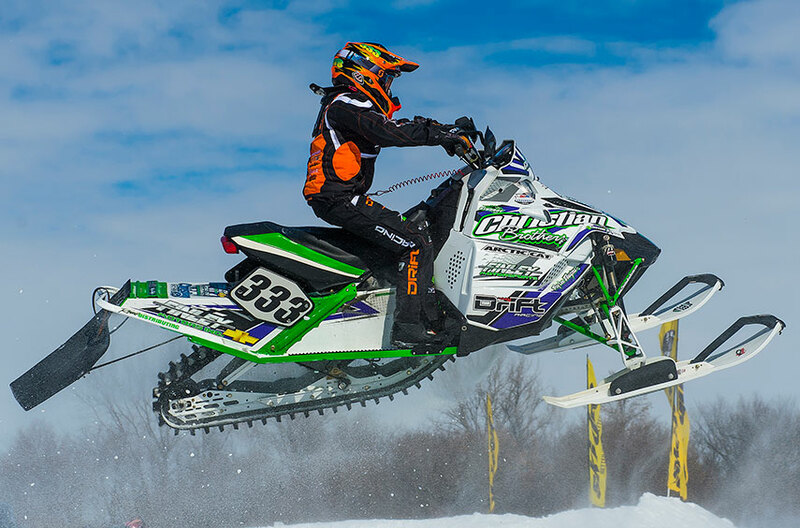 Evan Christian - Finley Motors/Arctic Cat rider Evan Christian claimed a 5th place finish in the Jr. Novice 10-13 class, capping off what was a solid weekend of racing for the up-and-coming snocross rider. Zach Herfindahl - Still nursing a broken left thumb, Christian Brothers Racing cross-country rider Zach Herfindahl raced the final USXC event of the season, the Moondance Jam 100 in Walker, Minnesota. The event featured a rough, twisting woods course that proved to be one of the toughest races so far. Herfindahl posted a 7th place finish in Pro 600, enough to win him the season points championship in the class, and a 12th place finish in Pro Open which was enough to net him second place in that class. Logan Christian - I'm so happy to get second place this weekend! The track at Fargo was awesome and I felt really good out there. I just wish this finish had come earlier in the season, but it will give the team a lot of momentum headed into the final race next weekend. Dave Joanis - Everything went great this weekend and the team worked really hard to keep us at the front. I'm happy for Logie getting second place on Saturday - the goal is for both of us to be up on the podiumnext weekend at Lake Geneva! Marica Renheim - The field was pretty strong this weekend, so I had to ride hard to get good finishes. Christian Brothers Racing mechanics gave me a great sled and I want to thank them for their hard work. Tyler Adams - That win felt really good! Last weekend I had a pretty bad crash and we weren't sure I'd be able to race this weekend, but everything checked out good and here I am, on top of the podium! The Christian Brothers Racing team is the best and I have to thank them for all their hard work. Evan Christian - I felt like I had another good weekend at Fargo. I just need to keep working and the wins will come. 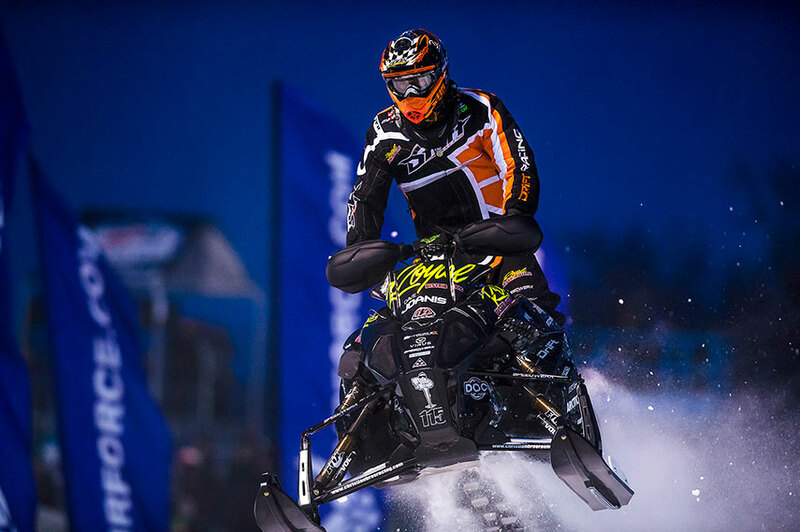 Zach Herfindahl - I'm racing with a broken thumb and a cast on my arm, so that makes it a little difficult to do some of the things I need to do on the sled, but overall it was a good weekend.